B. Thomas (Arlington, Texas, United States) on 19 July 2018 in Animal & Insect and Portfolio. 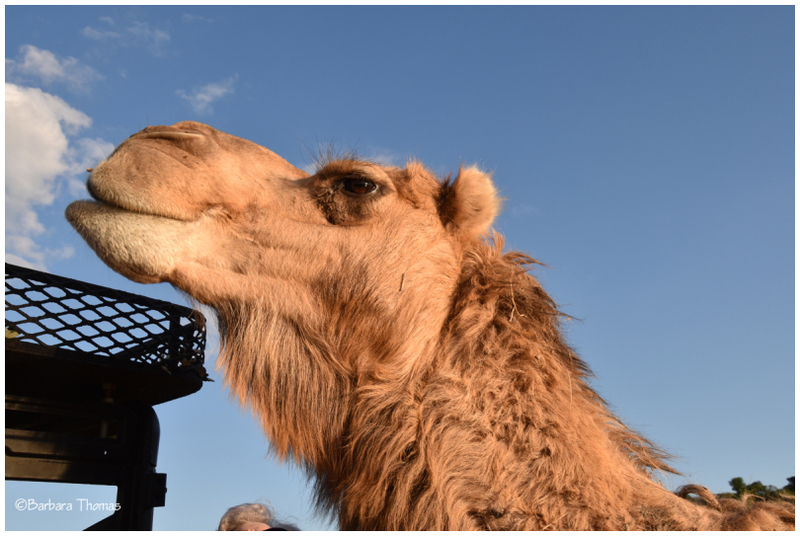 Marsha the camel knows the sound of the Polaris means there are people who will be happy to give her a handful of corn. And she deserves every kernel. Cute image. Marsha is therefore a very wise camel. She also looks very happy. Ah, yes, whizzed up for sure ! Marsha is beautiful ! Superb portrait . A fine capture of those great looking camel. Excellent detail and color. A lovely portrait of the lady. I'm sure she gets her corn. Funny portrait, nice against the blue sky. Splendid profile capture of Marsha! I love how she is bathed in the sunlight. A beautiful portrait! She seems to be happy!